League of Legends: should remakes be submitted to a vote? A reddit thread popped up, opening up a discussion on whether remakes should be submitted to a voting stage. There are reasonable arguments for both sides, hence, Riot is implementing a system that grants the greatest fairness to both sides. Allowing a voting system to approve or disapprove remakes ensures that the disconnected player has an opportunity to reconnect. This is especially the case for duos, where the other player is able to inform the rest of the team that the disconnected player will soon be reconnecting. This prevents unnecessary losses, even when the game is clearly winnable. Another simple reason is that an absence of a voting system will result in more remade games, leading to a less enjoyable experience for players. This is especially so, considering many players simply disconnect for a short amount of time. The current system is designed extremely well, as the remake votes are able to go through even if a duo votes no. This ensures the other players who wish for a fair game will have an opportunity to remake. 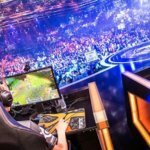 It restricts the vote and can only be conducted after three minutes, as Riot has deemed the team’s winning potential would be seriously affected due to another player’s absence. Remake votes fail to pass due to a handful of trolls, that either simply want to lose, or argue that a game is always winnable and a four man team is a challenge and makes the game more fun. As the remake votes can only start at three minutes, players are still able to connect in the two minute mark, which continues to adversely affect their teammates, especially if the player is a jungler.